Super Falcons coach, Omagbemi’s son drowns in pool – Royal Times of Nigeria. 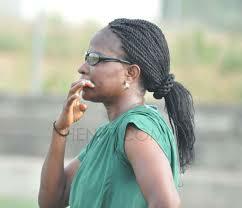 Nigerian Super Falcon’s coach, Florence Omagbemi’s 15-year-old son has died, The Net reports. According to a media officer for the Nigeria U-23 team, Timi Ebikagboro, Samuel Omagbemi drowned at a hotel swimming pool in Delta State on Wednesday. Ebikagboro said in a statement that a teacher had led the JSS 3 student of Challenge International School, Kolokolo Udu Road, Warri, to the Golden Tulip hotel along with his mates for an exam after-party. Two of the students, Samson inclusive, died while swimming in a pool at the hotel.